Cameras are a significant part of smartphones these days and brands are trying up the game with each release. The company has already launched the Note9 and a new Galaxy Watch this year, so could this be the four-camera smartphone that we've been hearing about? The invite doesn't reveal anything other than "4x fun" which is obviously a teaser for a new Galaxy product. In a bid to stay ahead of the competition, Samsung has something special in store for fans. In terms of value, the Samsung Galaxy S9 appears to win out against Apple's latest offering. But noted tipster Ice Universe suggested weeks ago that a Samsung smartphone with four cameras could be launched in 2018. From the phrasing it sounds like the fun has a lot to do with cameras and imaging. Now with Samsung's confirmation for an October event perfectly fits the bill. 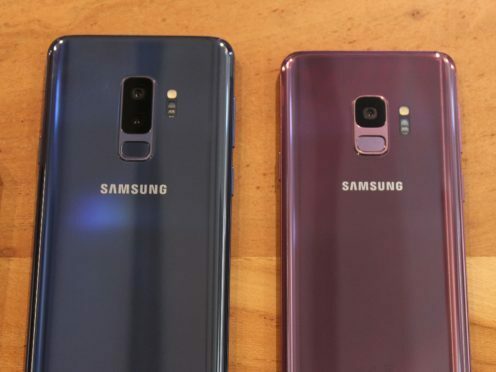 As Samsung gets ready to celebrate the 10th anniversary of its Galaxy S-series expectedly by launching the Galaxy S10 in 2019, rumours surrounding the upcoming smartphone are pouring in from all corners. Later it was asserted that this quad-camera device will not be the Galaxy F or S10.